Few people have the power to affect others’ lives as much as teachers do. From childhood classrooms to continuing education programs (because it’s never too late to be a student), teachers bring that educational expertise and commitment to their own career paths, choosing a profession that may not make them millionaires, but can bring incredible fulfillment. If you’re thinking about this profession as a student or as a career changer, we’ve got the tools you’ll need to get started—and to succeed once you become a teacher. First, it’s important to think about what you want to teach. Are you better with young kids or are you more into subjects better suited to high schoolers or college students, like advanced math or English? Sometimes picking that specialty is easy—maybe you’ve already got a passion for conjugating French verbs or are a whiz with kids who are just learning how to do the basics. If you know you want to be an educator but aren’t sure yet what path to take, it can’t hurt to start with a little quiz and some background info about different kinds of teaching careers. What Grade Should You Teach Based on Your Personality? Or maybe you’re not trying to figure out what you want to teach, so much as the why. What does the teaching field look like? What can you expect once you get in the classroom? Is it even a good fit for you? Now is the time to figure that out. Where are the best paying teacher jobs? Once you’ve decided, “Okay, this is what I want to do,” it’s time to pick the where. Teaching can be totally different depending on where you are—an urban classroom in Chicago may have very little in common with a rural classroom in Texas. There’s also the matter of salary. The common saying goes that teachers are chronically underpaid for everything they do, but the pay can vary pretty widely depending on where you are. If you have some geographic flexibility, it’s worth looking around the country to see where you can make the most out of your teaching salary, looking at factors like the pay itself and the cost of living. And don’t discount the “where will you be happy?” factor. If you pick Alaska due to the crazy high teacher salaries, but hate the cold, then that impacts your quality of life, and ultimately your career as well. One of the best things about teaching is that the skills are transferrable—the main difference between teaching in one place and another is that each state has different requirements, so when you’re scoping out a place to stake your teaching career, be sure to check out what kind of training and certification are necessary for the level you want to teach. The first step on your teaching job hunt, as with any job search, is getting your resume and cover letter in order. Because education and certification are so important for future teachers, it’s important to make those elements shine in your application package, even if you don’t yet have a ton of teaching experience. 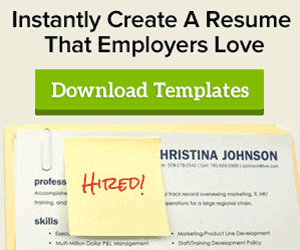 Check out the following information on creating your best possible resume. 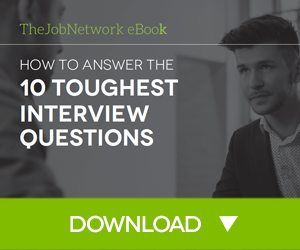 And it’s not just the resume and cover letter you need to prep—the interview is a key part of the process, whether you’re looking at your first in-person interview for a teaching job, or an interview to help you move up a level in your career. Don’t underestimate the power of your interview outfit—as a teacher, you’ll be expected to look respectable and professional in the classroom and out of it. For teaching jobs, it’s best to err on the side of a conservative outfit. You don’t want to scandalize the interviewer, and make them think that you’ll show up at school in something inappropriate for kids. As a teacher, it’s also important to have an elevator pitch beyond “I’m a teacher,” or “I’m a recent grad who wants to teach.” Your elevator pitch can help you craft the narrative of who you are as a teacher, and what you value most as an educator. 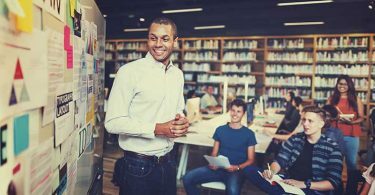 Once you’ve gotten past the job search and are thinking ahead toward settling in the classroom, there are also some tips and insights you should keep in mind even before day one of teaching. Whatever you encounter on the road to becoming a teacher, remember: you’re choosing a path that many people are just not willing or ready to take. We want to do everything we can to help you achieve your own goals as you take on the joys and challenges of teaching. Good luck!